You would like to know the value of your company and estimate payback of investments? You are planning to acquire a company and you need its evaluation? Company's value report provided by Creditinfo is a fast and simple way to do that. Now you can buy it here, on internet bank for business! 30% discount on report is provided exclusively to Swedbank AB clients. Evaluation and invoice will be sent within 1-2 working days. Find out your advantages and shortages if compared with the rivals, compare financial indicators and creditworthiness information and get the latest information in just a few minutes. 'Compete' report prepared by Creditinfo can be ordered now here, on internet bank for business! We recommend to perform this competitor analysis once a year. Report price 99 Eur + VAT. negative information facts (delayed arrears, court procedures, property arrests). Order a review of the business sector that interests you with an analysis of TOP 100 companies. Now you can do it here, on internet bank for business! Review price 199 Eur + VAT. Review and invoice will be sent within 1-2 working days. Information about TOP 100 companies of the sector: distribution and trends of earnings and profit, creditworthiness, comparison of financial indicators, balance sheet and income/loss statements of the last 2 years. Show Lithuania and foreign markets that you are a trustworthy business partner and fulfil your financial obligations responsibly. Now you can order 'Strongest in Lithuania' certificate here, on internet bank for business! 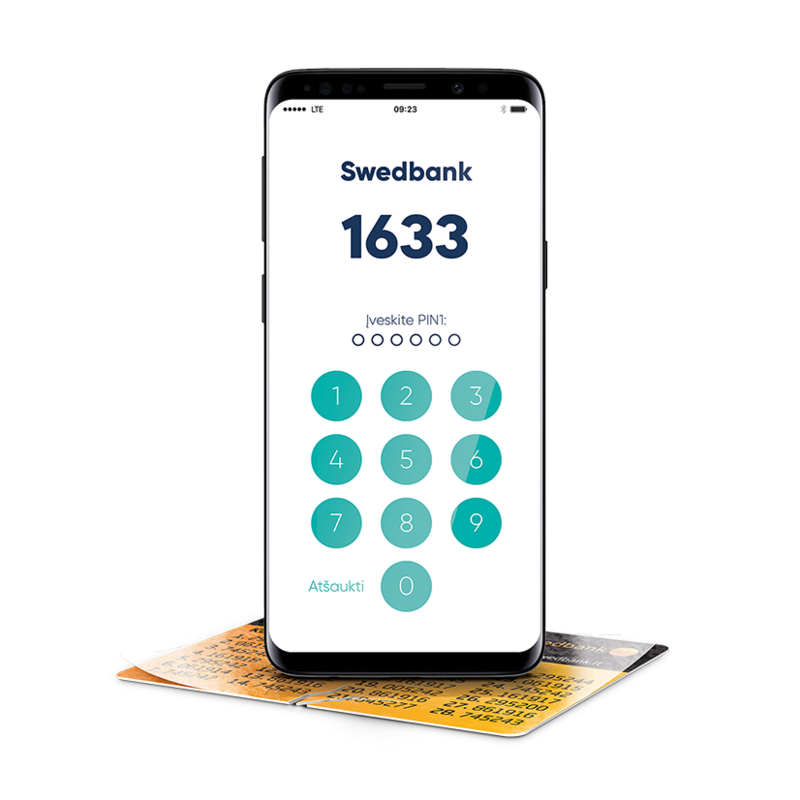 Only Swedbank AB clients get an additional e. certificate in your chosen language. 1 set for EUR 299 EUR + VAT. Electronic version of the certificate and invoice will be sent within 1-2 working days, while the engraved certificate will be delivered by post within 8-10 working days. E-version of the certificate and 'Strongest in Lithuania' trademark in Lithuanian and your chosen foreign language (English, Russian, German). Get evaluation of creditworthiness of your chosen company in just a few minutes. Now you can order comprehensive creditworthiness report here, on internet bank for business! Report price 30 Eur + VAT. We will send a link to the report and an invoice within a few minutes. This report will provide you information about the head of the company, company's legal status, contact details and data about negative information facts. It is a brief report to help you to make a preliminary decision whether it is worth to establish a contact with the company. But for thorough evaluation of the company we recommend ordering the comprehensive creditworthiness report. Report price 15 Eur + VAT. brief information from the state registers. Get the evaluation of creditworthiness of foreign business partners before starting cooperation or if solvency problems arise. Now you can order reports on creditworthiness of foreign companies here, on internet bank for business! Report price 80-130 Eur + VAT. other data from private and state registers. The list of potential clients is the fastest way to select target clients. All you have to do is to define selection criteria (e.g. company's activities, duration of business, size of business, credit rating) and you will be sent a list of companies with their contact details and other useful information. List price 40-200 Eur + VAT. The price depends on the selection criteria and the number of companies selected. Free consultation on selection of potential clients is offered exclusively to Swedbank clients. Information and invoice will be sent within 1-2 working days. other criteria are possible according to your needs.